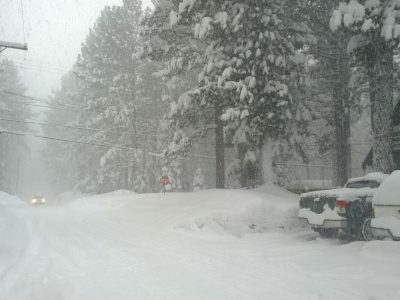 Authorities are advising against travel to the greater Lake Tahoe area Sunday. Vallejo police are cracking down on drivers of motorcycles and all-terrain vehicles near an Interstate Highway 80 rest area. Three people died in a solo vehicle crash on eastbound Interstate Highway 80 at the eastbound state Highway 12 connector in Solano County. Two people were injured in a shooting on eastbound Interstate Highway 80 at Willow Avenue Saturday night. All lanes of eastbound Interstate Highway 80 in Emeryville just west of the Emeryville exit reopened Sunday afternoon after being closed for hours. Police have detained three possible suspects in a shooting on Interstate Highway 80 that sent at least one victim to the hospital.